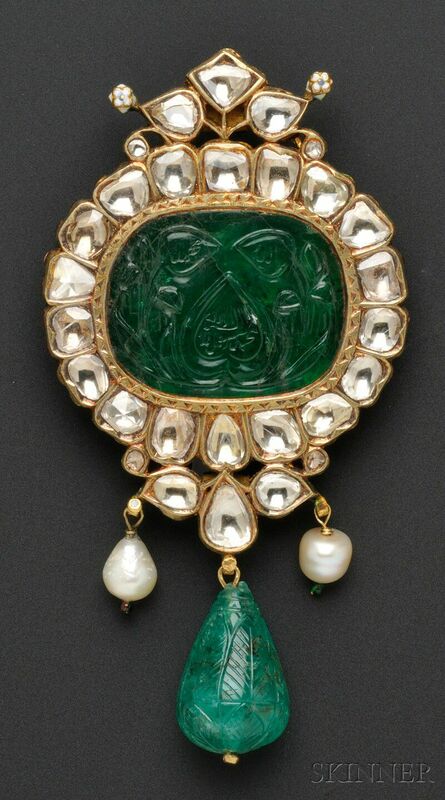 Fine Carved Emerald and Diamond Pendant, India, set with a carved emerald tablet depicting flowers, foliage, and Islamic script, measuring approx. 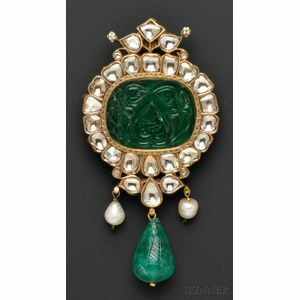 31.00 x 21.44 mm, framed by rose-cut diamonds, and suspending a carved emerald drop measuring approx. 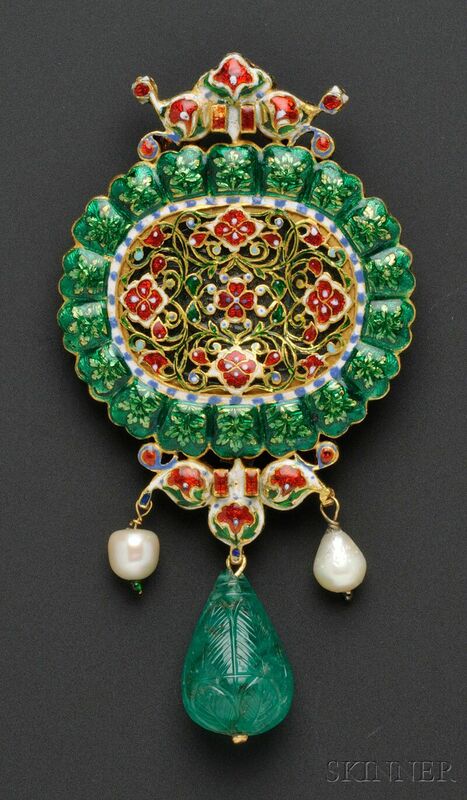 29.00 x 15.90 mm, flanked by pearls, high-karat gold mount, the reverse pierced and finely enameled, 3 7/8 x 2 in. Emeralds with typical inclusions, both with good color. Top of drop with chips. Two 18kt Gold, Platinum, and Diamond "Etoile" Bracelets, Tiffany & Co. Platinum and Diamond "Etoile" Bracelet, Tiffany & Co.
18kt Gold "Diamonds by the Yard" Bracelet, Elsa Peretti, Tiffany & Co.